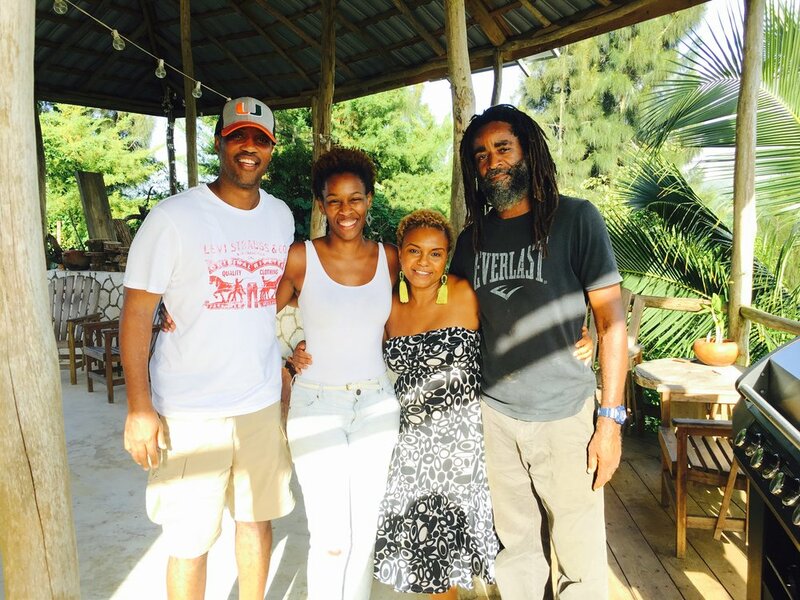 Tell us that you are a foodie, and we will have plenty of delicious options for you on an island known for its curries, jerk seasoning and world-famous rice and peas. 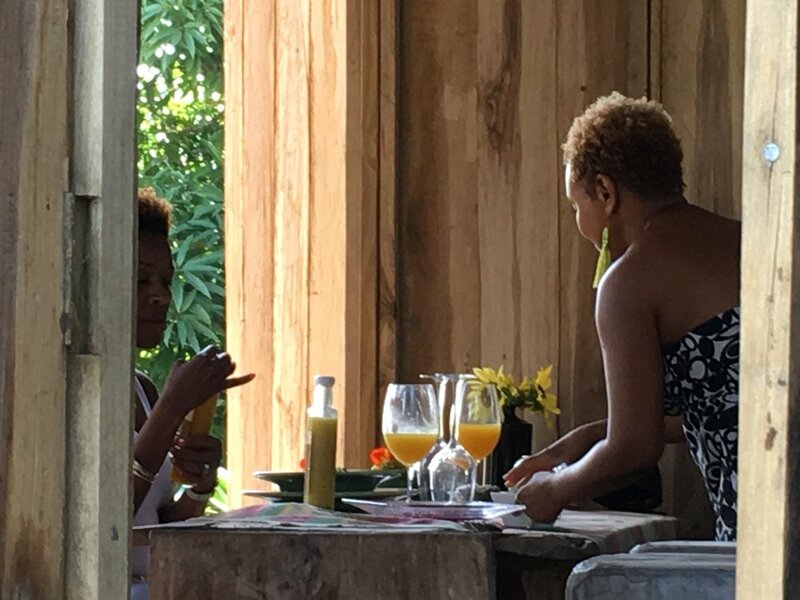 Yet, we tell all foodies this: above all else, you must visit Stush in the Bush, a farm-to-table experience in the hills right outside of Ocho Rios, Jamaica. Not only is it the best vegan/vegetarian food that Ronnie and I have ever had, it is also just superb food. Period. There is a word in Jamaican patois that means “fancy.” It is “stush,” and it rhymes with bush. Therefore, the name of this experience—Stush in the Bush—is a bit of an oxymoron. It means that you can find something fancy, elevated if you will, even in the woods. The couple who own and operate Stush in the Bush, Lisa and Chris, also embody the name of this experience. Lisa is “stush!” She is a stylish New Yorker who now calls Jamaica home after meeting and falling in love with Chris a few years back. From the design of the open-air dining room to the burst of flavors in your mouth to the awe-inspiring presentation of each course, you will know her handiwork when you see it and taste it. Chris is the “bush” half of this couple. The farm is a part of his family’s history. He can tell you about every plant and fruit on the farm and its nutritional or medicinal value. When you arrive at the farm, you will climb into his truck and he will drive you further up the hill to absorb an expansive view of the ocean and surrounding area. He will tell you a fascinating history of the land and the free towns established by Africans after slavery to build and sustain community. This is not just a place you go to enjoy an amazing meal (though it is also this). It is a place you go to get fed. It is history. It is culture. It is the art of food and cooking. It is human connection. It is living off the land. You will laugh. You will cry. You will hug yourself and the person sitting next to you. You will find yourself moaning and rocking with each bite. It is just that good. You must experience it to understand it. Ask us about visiting Stush in the Bush when you book your next stay at Point of View Villa & Spa.